Populus tremuloides is the scientific name for a common tree with many names. As a Midwestern girl, I grew up calling these trees Popples. I remember my dad remarking on the way the leaves tremble in the breeze. Indeed many of the common names denote this feature: Quaking Aspen or Trembling Aspen. It is also called American Poplar. We’ll call it Quaking Aspen for the rest of our discussion. 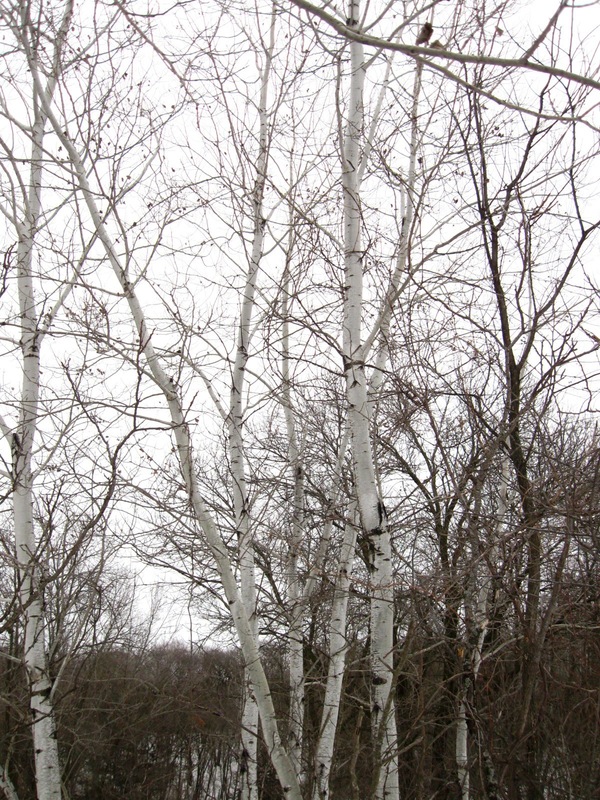 Quaking Aspen is described in many field guides as the most widely distributed tree in Minnesota and in North America. You will see large stands of Quaking Aspen. Quaking Aspen is a clonal tree that reproduces by suckering. That means that in a large group of Quaking Aspen each “tree” is the genetic twin of all the trees around it, each has emerged from a common rootstock. Therefore the argument has been made that a stand of Quaking Aspen is really one single organism. The world’s largest organism is a Quaking Aspen stand in Utah with 47,000 trunks, covering over 100 acres, (Tekiela, p. 51). Quaking Aspen is a native tree and was here in great numbers before European colonization. Quaking Aspen is a fast-growing, relatively short lived tree, rarely will Quaking Aspen exceed 100 years which is common of the large pines, maples and oaks. Quaking Aspen is shade intolerant; you will not find it in the deep forest but rather out in the open. It fills in space. Quaking Aspen is a member of the Willow Family. It shares the same genus as the Cottonwood trees and all other Poplars and Aspens including Populus balsamifera (Balm of Gilead), a noteworthy herbal remedy. The Willow family plants produce dangling, fuzzy flowers called Catkins. Quaking Aspen produces catkins in early April to mid May. It releases seeds from mid-May to early June. The willow family plants share a similar chemical profile. The contain glycosides of populin, salicin and methyl salicylate. They are analgesic, anti-inflammatory, astringent and diuretic. These chemicals are most concentrated in the inner bark, the part harvested in early spring, but are also present in the leaves. Tannins are also present in the inner bark. The nineteenth century doctors focused on Quaking Aspen as an excellent remedy for intermittent fever. Intermittent fever most likely refers to malaria, which is characterized by fevers that come and go with periodicity. Most of us are accustomed to thinking of malaria as a disease of hot countries in the third world, but malaria was common in the United States in the past. Other diseases may also feature an intermittent fever, such as tuberculosis, which was also more widespread over 100 years ago. Long-lasting feverish illness that came and went was a part of the health landscape in a way that it is not for us. Such fevers were exhausting to the sufferer and would cause weakness, fatigue, debility, loss of appetite and weight loss. Much space is devoted to remedies for intermittent fever in the medical literature. Quaking Aspen is one such remedy. 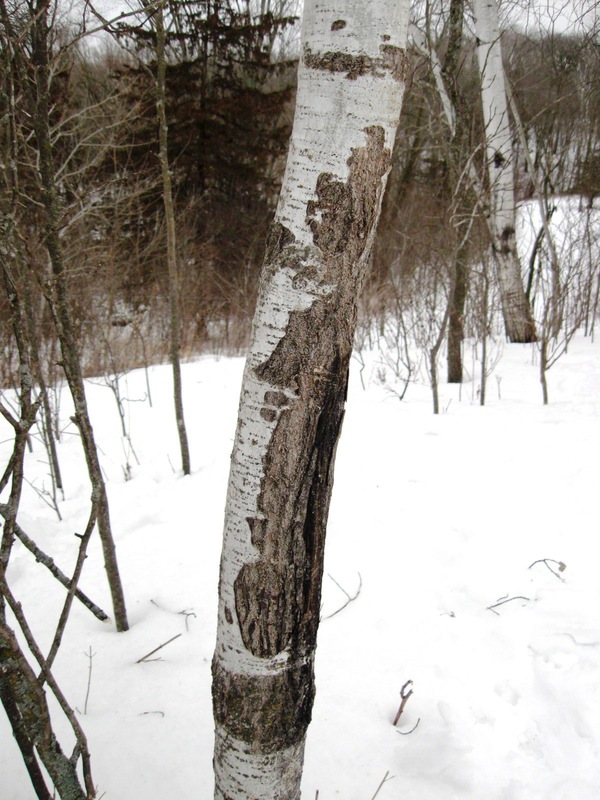 While we, Minnesota herbalists, are unlikely to treat Malaria or tuberculosis in our communities, you might consider Quaking Aspen as an influenza remedy. Influenza is also characterized by alternating fever and chills. Quaking Aspen is useful for the stomach as well, for lack of appetite and lack of tone and overactivity in the digestive tract leading to chronic loose stools and diarrhea and poor general digestion. Matthew Wood writes that this kind of chronic loose stools comes from an overactive sympathetic nervous system causing increased bowel peristalsis. Wood also draws a connection between the stomach symptoms of the individual with excess sympathetic nervous system activity and their emotional and psychological state. He writes that these individuals “get a shaky feeling when nervous in the stomach.” And that they experience nervousness, fear and anxiety, (Wood, pp. 278-282). For those who like the poetry of the doctrine of signatures this makes perfect sense; the leaves of the Quaking Aspen tremble markedly in the breeze. Perhaps Quaking Aspen can be used for other symptoms of shaking and trembling. “These people are inordinately sensitive to impulses and psychic currents around them, such as conflicts in the workplace, the psychic energy of a fellow rider on a bus, and of course, the fear of war, financial disaster, and other “what ifs.” They are often aware of developing conflict before others around them take notice. Children in need of this Bach flower remedy often believe that the “monster under the bed” may bereal, and insist that their bedroom door remain open or that a light be left on all night. Contemporary uses focus on the presences of the salicin and populin as analgesics and anti-inflammatory agents, much like aspirin. David Hoffmann writes that “Quaking Aspen is a relevant anti-inflammatory for arthritis and rheumatism accompanied by pain and swelling. Its use in this indication is quite similar to that of willow and it is most effective when used as part of a broad therapeutic approach, not as the sole treatment. It is very effective for flare ups of rheumatoid arthritis,” (Hoffmann, p. 575). “Bach Flower – Aspen (Populus Tremula).” Bach Flower Reference Guide. N.p., n.d. Web. 1 Feb. 2012. Elpel, Thomas J. Botany in a Day: Thomas J. Elpel’s Herbal Field Guide to Plant Families. Pony, MT: HOPS, 2000. Print. Tekiela, Stan. Trees of Minnesota: Field Guide. Cambridge, MN: Adventure Publications, 2001. Print. I was recently lucky enough to come across a fallen aspen tree, and harvested some bark and leaves. I made an oil from the bark and some twigs and have found it to be really useful helping my husband through a painfullly spasming back injury. Since then, a friend reports it useful for a neck “crick” from painting a ceiling, and I’ve found it gives me instant – and long lasting – relief from bursitis. Wonderful stuff. I agree it’s wonderful! Other trees in the Populus genus (Balm of Gilead, Big Tooth Aspen) as well as related trees like Willows and Cottonwoods share a profile that includes lots of anti-inflammatory, pain killing salicylates. Hi Christine, Hope you receive this! I live in Colorado with lots of Aspens. Can you recommend how i go about learning to harvest. Any good books? And here’s a link to The Boreal Herbal: http://borealherbal.com/ This book has a monograph of Quaking Aspen (and other trees that may grow in your area) and some recipes as well as some of the general foraging/wildcrafting and medicine making info that may be helpful to you.